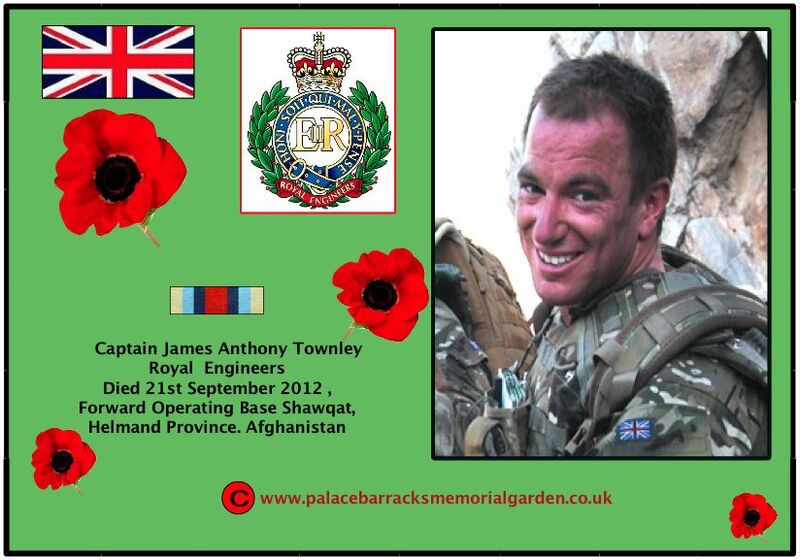 Captain James Anthony Townley from the Corps of Royal Engineers died in Afghanistan on Friday 21 September 2012. Captain Townley died in Camp Bastion, Helmand province, southern Afghanistan, from wounds sustained whilst serving at Forward Operating Base Shawqat. Captain James Townley was born on 22 September 1982 in Tunbridge Wells. He grew up near Glastonbury in Somerset, going to school in the local area. Having received a first-class degree in Engineering and Computer Science from University College Oxford, he worked as a tax associate for Price Waterhouse Coopers before attending the Royal Military Academy Sandhurst in January 2007. He commissioned into the Corps of Royal Engineers in December 2007 and promoted to Lieutenant soon after completing his Royal Engineer Troop Commanders’ Course before serving in 28 Engineer Regiment, based in Hameln, Germany. Captain Townley was an avid sportsman who enjoyed a wide variety of sports including skiing, mountain biking, kite surfing and sailing. Having rowed for his college at university, he later went on to represent the Royal Military Academy Sandhurst and his regiment. Captain Townley was attached to 21 Engineer Regiment from 28 Engineer Regiment for the duration of Operation Herrick 17. He deployed to Afghanistan on 5 September 2012 with 4 Armoured Engineer Squadron, 21 Engineer Regiment and was based in the Nad ‘Ali district of Helmand Province as the Battle Group Engineer supporting 1st Battalion The Royal Anglian Regiment. Upon arrival, he immediately immersed himself in operations that directly supported the transition to Afghan-led security, providing specialist advice on engineer tasks and capabilities. He had quickly established himself as a professional and charismatic officer. In his time with 28 Engineer Regiment he shone as an intelligent, experienced and highly competent individual who had great plans for the future. With unrivalled commitment to his soldiers, he combined consummate professionalism and ability with a personable, humorous and approachable character. Extremely popular with his fellow officers, Captain Townley lived life to the full and was at the heart of the Regiment both professionally and socially. Above everything else, he will be remembered for his selfless commitment to every undertaking, his strength of character and his faultless integrity. Captain James Townley, was a remarkable young man. He leaves behind his parents, Peter and Jacqui, his brother, Nick, and girlfriend, Helen. “James was a wonderful, loving and caring son and brother. He was devoted to his girlfriend, Helen. He was our guardian angel and our hero. We were so proud of him. He touched every part of our lives and his loss has left a huge chasm that we can never fill. “James was an exceptional officer, a great character and unbelievably clever. The Regiment is devastated that such a bright light has gone out – everyone knew him and it was impossible not to be drawn in by his passion and humour. He was on his third tour of Afghanistan and a volunteer for all three. He joined to be a soldier and he was determined to make the most of all the opportunities he could. The Regiment will be a poorer place without James. “Captain James Townley was an enthusiastic, professional and extremely likeable young officer who made friends easily. Back in Afghanistan for his third tour, he had worked hard to prepare for the deployment and was looking forward to getting to grips with the challenges that lay ahead. In the time that I have known him, he was always cheerful, polite and full of energy – a real pleasure to command. “His tragic loss has stunned the Regiment, and we are all trying to come to terms with this awful event. He had many friends throughout the Corps and his loss will be deeply felt by all those who had the privilege of serving alongside him. “Captain James ‘JT’ Townley was a star within 28 Engineer Regiment, having served with us for the last four years. An exceptionally intelligent young officer with notably sharp analytical and planning skills, his military career was flourishing. “Nothing was too much for JT, he would always be on hand to help out his fellow officers or soldiers; he would never put himself first, and he was someone who could be relied on. “Captain James Townley joined my Squadron as we prepared for deployment to Afghanistan. His professionalism and keen intellect meant he made an immediate impression on us all and in only a few short weeks he had become an integral part of our headquarters. Although I knew him for only a short time, it was long enough to understand that he was a dedicated and loyal engineer officer with a bright future ahead of him. 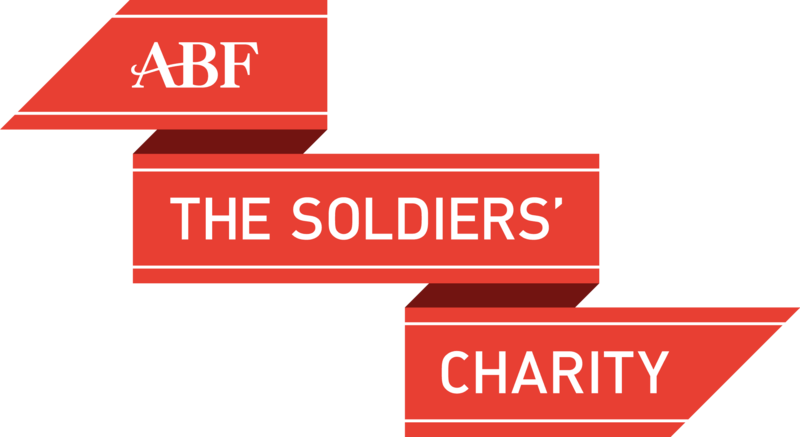 “This was James’s third tour of Afghanistan and he remained determined to make a difference. He was relishing the challenges the tour would bring and had thrown himself wholeheartedly into his role as Battle Group Engineer to the transition support unit in Nad ‘Ali. He worked tirelessly to coordinate the delivery of engineering projects he knew would improve the lives of the local Afghan population. “James Townley and I completed Sandhurst together, commissioning into the Royal Engineers and serving together in multiple theatres. “James, or ‘JT’ to his friends, was a good officer and a great guy. He combined a vast intellect and professional ability with a likeable demeanour and infectious enthusiasm. As a fellow officer he was hugely impressive; his ability to digest and analyse information in a split second was incredible and I have no doubt he would have excelled in anything he chose to do. 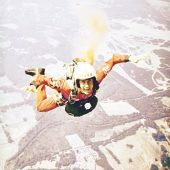 “As a friend one could simply ask for no better; his spirit of adventure ensured that spontaneous road trips kite surfing or skiing around Europe were aplenty. A genuine friend, ‘JT’ would always make the effort to catch up, often turning up with the makings of a good cocktail. “James Townley was the epitome of a British Army officer; fit, reliable, intelligent and absolutely trustworthy. He also had a wicked sense of humour which you could always tell was near the surface by the tiniest of grins and a glint in his eye. He was a man of considerable but understated achievement; a degree from Oxford and being in the Sovereign’s Platoon at Sandhurst to name just two. He excelled at everything he tried yet never flaunted his considerable abilities. “I first encountered ‘JT’ on the River Isis at Oxford when he rowed for his college crew. Dressed in Lycra and Wellington boots I was struck, not only by his dress sense, but by his stoic commitment to the task in hand and sheer will to win, attributes that he would display repeatedly during his time in the Army. “As an officer he was second to none and loved what he did, taking care of those under his command and supporting those around him. He was utterly dedicated in everything he did and had already made an impact here in Afghanistan, impressing his battlegroup with his intellectual prowess and sound judgement. “His great passion was sailing and in 2010 he led an expedition along the coast of Croatia. When stories of his escapades came back, they were soon written into Regimental legend. However he never corroborated any of them and it was only that small grin and little glint of the eye that told you there was more to it than he was prepared to admit. “‘JT’ was the best officer I have ever met and the Royal Engineers and the Army has lost a most loyal servant. He was a steadfast friend to those who knew him and never had a bad word to say about anyone. The phrase that he always brought to my mind was that he had ‘heightened sensitivity to the promises of life’. “I first met ‘JT’ in the 28 Engineer Regiment Officers’ Mess and he immediately struck me as a friendly, genuine and funny individual. He was a very busy man, always putting in maximum time and effort to everything he did, yet would always make time to pass on his considerable knowledge and experience to anyone who asked, no matter what the subject. If ever I knew anyone who was going to make his millions it was ‘JT’! He always had a comical outlook on the topic of discussion, offering up his opinion, usually tinged with a facetious edge, which endeared him to everyone he knew. “The tragic loss of a good friend and fellow officer is a crushing blow to all those that knew him. ‘JT’ as he was known to his friends, spent his entire career in Hameln. He was well known, hugely liked and respected within the Officers’ Mess and the wider Regiment. “As a Troop Commander in the same squadron, I had the distinct privilege of working closely with him as well as living in the same Officers’ Mess. A sharp and witty individual, he regularly brought humour to his environment. Always the first to deliver a hilarious and cutting comment to events within our Mess, he was definitely the person to be around when looking for laughs. “Highly dynamic, he regularly found activities to take part in and did his best to facilitate those around him joining in. A true friend he was always prepared to help those who needed it. I personally owe him for the many hours he spent in the evenings helping me with my career development, as well as the advice and help he has given me with the job in hand. “He cared a lot for his personal life and spoke fondly of his family and girlfriend Helen. He often discussed excitedly his intentions for his future career and the opportunity to be able to spend more time with those he cared about. “I first met Captain Townley in our Squadron Headquarters a few weeks prior to deployment. Although not part of our regular team, he made an instant effort to integrate himself into our way of life and training regime. During the high tempo of pre-deployment training this effort was immediately recognised and quickly earned him the respect of all ranks across the Squadron. “Captain Townley’s diligence and attention to detail were key to the challenges and tasks facing him as a Battle Group Engineer. This did not seem to faze him, and during my discussions with him he was revelling in the challenges that this job had to offer. “I first met Captain Townley as a Troop Commander at 23 Amphibious Engineer Squadron. He quickly embedded himself and produced all the goods expected from a young officer. He was extremely fit, loved a sporting challenge and became a well-liked officer across the ranks. He had a cracking reputation as a Troop Commander and made a name for himself in the squadron bar and Officers’ Mess as someone who embraced the Germany way of life. “I worked with him closely as the Operations Officer for 42 Field Squadron. He threw himself straight into the role and as always gave 110 percent effort prior to deployment to Afghanistan. Captain Townley was an absolute professional, a keen workhorse who would never give up and would always complete the task to the highest of standards. This was what I was looking forward to most; working side by side with him throughout our deployment. “I’ll remember Captain Townley as a keen sailor and an excellent skipper, proven during the sailing trip we had to Croatia after our previous Afghanistan deployment. We were going to return there after this deployment, although now my thoughts will be with him during a trip that will undoubtedly miss his presence. “My thoughts go out to all his family, friends and girlfriend Helen, all of whom were a huge part of his life. He was an excellent officer and friend. He will be missed by all, especially his close friends back in 28 Engineer Regiment, Hameln.